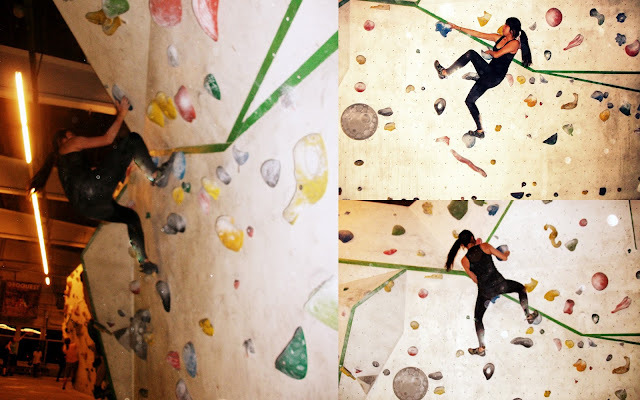 One week ago, my friends took me to a Climbing, bouldering place in Berlin. They wanted to show me one of their hobbies and I have to say: OMG! It was sooooooooooo much fun :) Haha, first I was really afraid of the height but after managing the easiest routes, I really wanted to go further and do the next step. The colours of the stones on the wall have different meanings, so yellow would be the easiest one and then blue, red and green. I tried to do one blue route and it took me awhile. What sports did you try out and want to do more often?